Most serious long-range shooters have a regular collection of products and tools at home to clean and repair their rifles and accessories. But you can’t tote your gun room into the field. So, what should you carry along when hunting or competing? 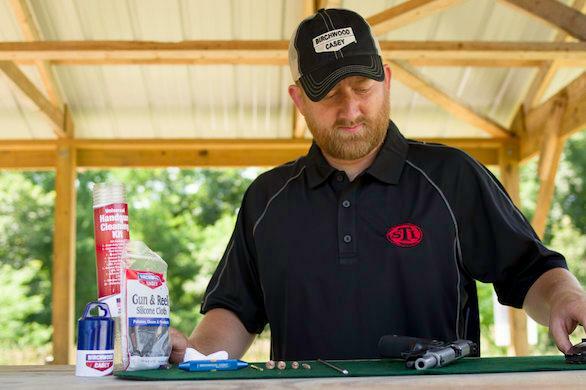 According to Curt Vaughn, Head of Product for Ballistic and a long-range shooting competitor, most shooters he competes with have a small cleaning kit in their range bag or backpack. The kit contains bore solvent, lubricant, patches and bore brushes. Some shooters use a flexible, pull-through cleaning cable; others prefer a sectional cleaning rod. A couple of cleaning rags round out their kits. Optics require their own kit, usually one that includes a liquid lens cleaning solution or pre-moistened wipes, plus wet- and dry-cleaning tools, as well as a microfiber cloth. Anything else the serious shooter needs to bring along? Keep your rifle and accessories clean and in good repair, add in the best available ballistics data with Ballistic, and you can make every long-range shot count. « Shooting Tip: For Superior Accuracy, Easy On That Trigger!